On May 9, 2016, as construction crews were renovating a home in the city’s posh Richmond district, they struck something with their shovels. 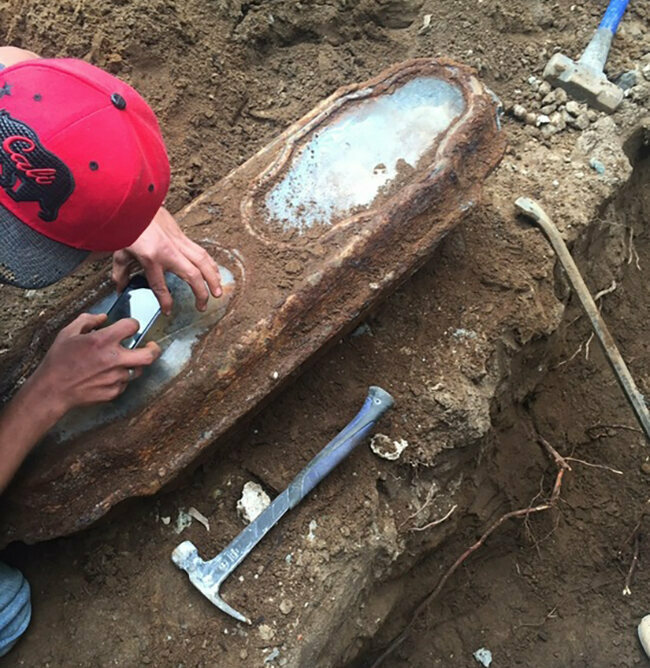 Under the garage floor was a tiny coffin made of lead and bronze, its most prominent feature a pair of glass windows that allowed workers to peer inside. They saw the preserved remains of a three-year-old girl. She was dressed in white, with ankle-high shoes, and grasped purple flowers that’d also been woven into her hair. A rosary and eucalyptus seeds had been carefully set atop her chest. There were no markers indicating who she was or when she died.